I remember before I was able to read/see something about the concept of OOP in Erlang which was different from the current conventional OOP. Would anybody care to share some links or talk? Since Erlang uses messaging to communicate between processes, this seems like a very apt description of the language. Dynamic (possible to evolve in a biological sense) - keeping the entire world strongly consistent (in the sense of a strict type system) is impossible - even types change with time - in live systems the code must be able to evolve. chain of processes until somebody recognises it. Java/C++/Smalltalk do not protect objects - send a “message” (or evoke a method) that leads to an infinite loop and you screw up the system. Erlang/Elixir are rather nice send a message to a process that sends the process into an infinite loop and you won’t even notice it. And yes you can break beam code - but you have to try hard. Pearls (/posts!) of Wisdom Thread! Object Orientation isn’t some kind of gold standard that one has to aspire to “to become one” with the “one true way”. I’ve always viewed it as a set of heuristics that attempt to manage complexity (with a different kind of complexity). Now some people in other areas are trying to advance OO like Trygve Reenskaug and Jim Coplien with DCI - Data Context Interaction (though a lot of it seems to revolve around the idea that today there is too much focus on programming and not enough on analysis and design in order to minimize accidental complexity early). The sending messages is big for me. Learning Smalltalk first and then Ruby I always wondered why everyone talked about sending message “that objects would choose how to handle” - yet you never get the message itself (yes yes method_missing, yes yes). In erlang you actually get access to the message and could actually drop it if you wanted to or whatever Hence it is philosophically closer to what is described in OOP in that sense. Or well not just erlang but actor-like systems in general. Classes etc. are also just to make objects work… it’s called Object Oriented Programming after all, not Class Oriented Programming. It’s not a really big repository, so it should not be a bigger problem even for beginner to rewrite it to Erlang. You just can’t resist can you … April 1 isn’t that far off! Because of Multi-Paradigm Design I like to keep track of him and the shift towards roles rather than classes seems interesting. In any case his talks like What went wrong with the IT-industry? are entertaining at least, if opinionated. Via the links I found https://www.goodreads.com/book/show/8739006-lean-architecture. Also see the not too positive bookreviews. Not my cup of tea this book. 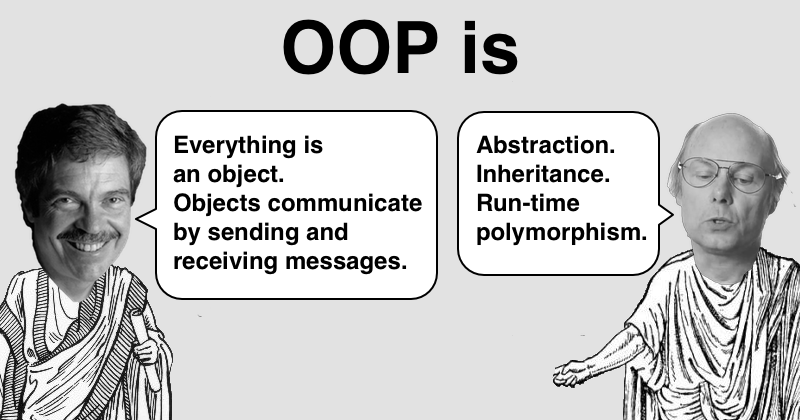 When we were developing Erlang @rvirding and I read every book we could find that described OOP and came to the conclusion that there were no definitive descriptions of what an OOPL was it was more a case of “you can recognise an OOPL when you see one”. I had always (and still) viewed this reuse stuff as total nonsense - functional re-use is possible but the non-functional properties of a program cannot be re-used. Removing inheritance is one of the things I do when refactoring an OO codebase. I don’t know if this fits in here to 100%. But in this great talk Scott Wlaschin compares OOP patterns with FP. Before watching, try to make a guess what is the equivalent FP pattern to each OOP pattern. 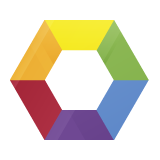 @PragTob You are so right and it is always tricky to discuss this with people they just have one paradigm. Wow! It’s an honor to hear from you! Enlightening! Thanks!!! Of course doesn’t only go for the erlang peeps but also José, Michał and all the other “implementors” being very helpful around here. For erlang peeps it’s especially nice because this isn’t the “erlang forum” (although it kinda is ). Love it when communities work together closely. Interesting, but IMHO we are always going to reinvent the wheel as the knowledge gets lost among the tens of thousands of objects/functions (the bigger the code base, the worse it becomes…). So even if functions with no side effects are more reusable in theory, does it really matter in practice? 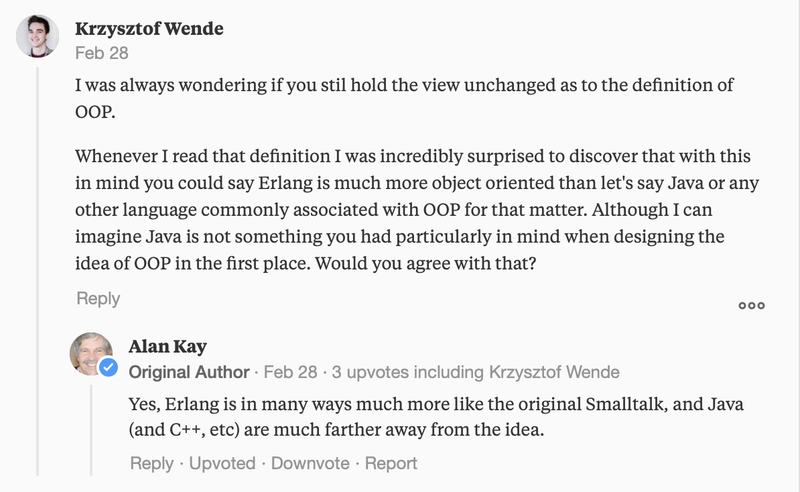 I actually had an opportunity to ask Alan Kay about current developments of OOP and the original definition being much more closer to Erlang than anything else we commonly see.